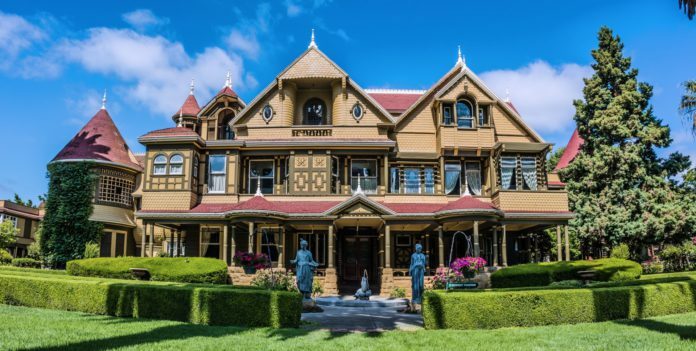 The mysterious residence in San Jose, California, and its peculiar and scary history have captivated architecture enthusiasts, many mystery lovers, as well as Hollywood film producers who recently made a film about this house full of ghosts. 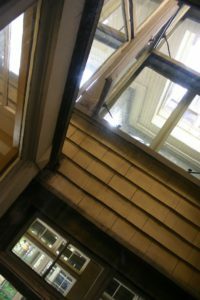 The unique construction of the house had lasted for an incredible 38 years because any break would have had severe consequences for the owner’s fate. 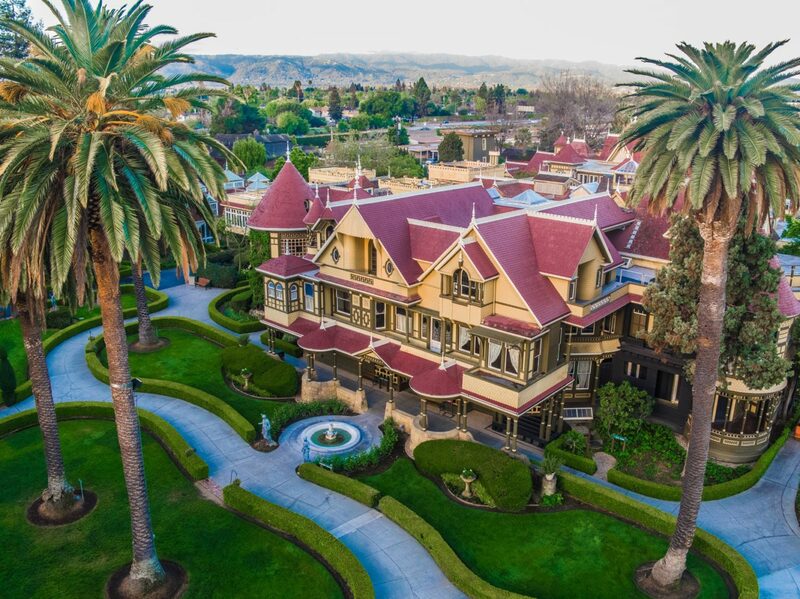 The widow, Sarah Winchester, inherited a vast fortune from her deceased husband and heir to the arms factory. After his and her daughter’s death, Sarah was forced to leave the family house to avoid her own death – the fate that a fortune teller told her. She predicted her to move and start building a new home for her and the spirits of the deceased who had died after shooting with the Winchester weapons. After her husband’s death, she inherited over $ 20 million in tremendous assets (which would now be $ 520 million) and a 50% stake in Winchester Repeating Arms Company. The heritage brought Sarah up to $ 1,000 a day (today’s $ 25,000). From the inheritance, she financed the endless construction work on her house of horror, which she designed and decorated herself. Each room was different. 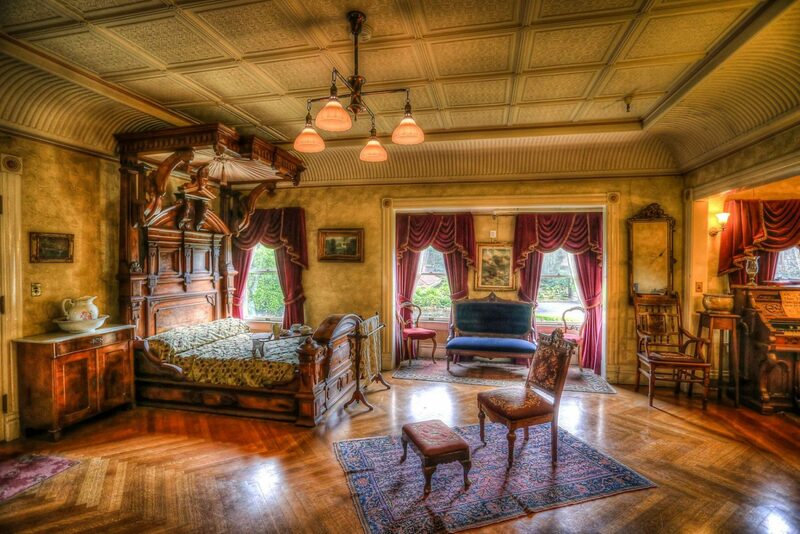 The legend says that she designed every room based on the influence of the deceased, who then moved into it. The result of the house is a remarkable labyrinth that allowed Sarah to confuse the spirits and hide from them. It is said that every night she chose another bedroom to avoid their presence at least at night. The peculiar Victorian building had up to 7 floors and 160 rooms at the beginning, but after the San Francisco earthquake in 1906, four upper floors collapsed. Sarah remained trapped in one of the bedrooms, judging it was a warning of her impending death. At that time, she planned the daily work for her workers until she died at the age of 82 (September 5, 1922). 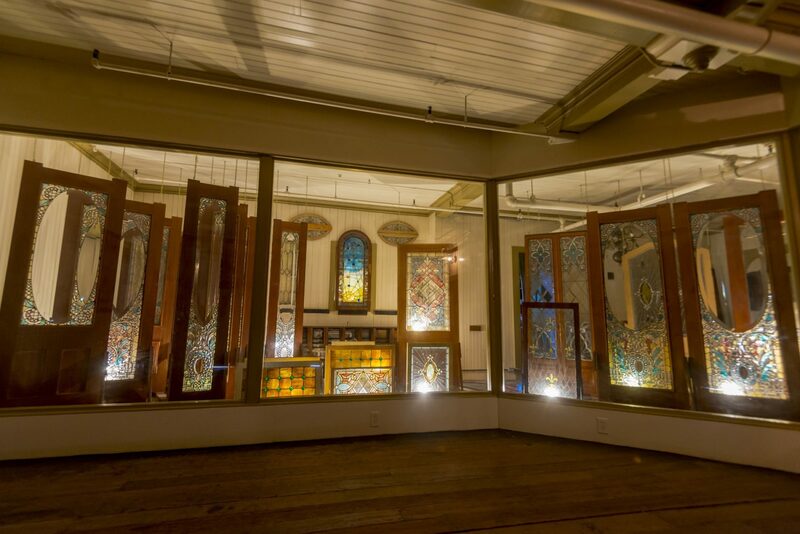 Till today the mansion still has strange building details, staircases that go nowhere, windows (many of them designed in the world-renowned Tiffany jewelry house), behind which there is a wall, doors opening into nowhere or secret passages and columns built upside down. Other details that were at the time of construction the most modern and technically advanced – 3 lifts, modern toilets, central heating and gas lighting with switches – are also remarkable. Decorative curiosities included cobweb patterns or use of number 13: ceilings have 13 panels, 13 bathrooms, the thirteenth of them has 13 windows, 13 steps on each staircase, 13-panel walls, a garden house has 13 domes… Even the will left by Sarah Winchester for her assistant and niece had 13 parts with 13 signatures. Today, the mysterious Winchester House is a museum and a popular tourist stop, where two guided tours are organized daily. The main tour called The Main Mansion Tour, which includes a visit to 110 of the 160 rooms, the garden, and the surrounding area can be seen without the guide, and the visitors can enjoy seeing the exotic flowers and trees from around the world. 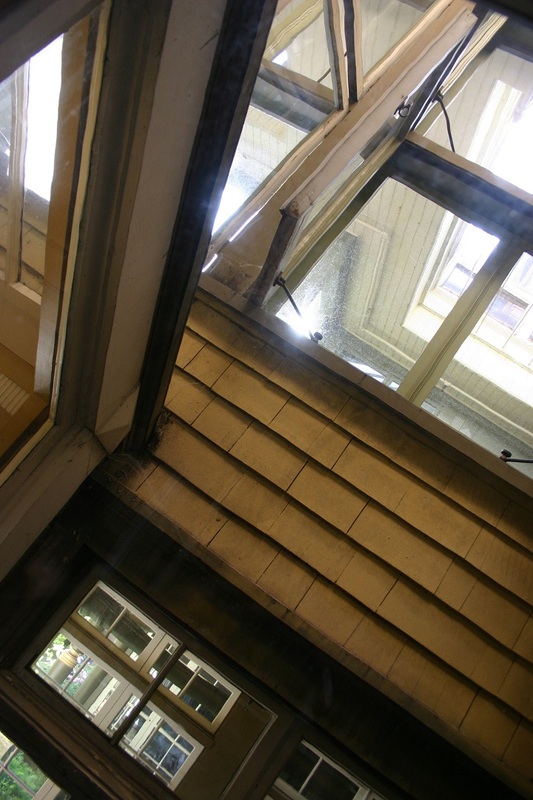 The Behind the Scenes Tour offers visitors a unique opportunity to look at places that haven’t been published or made available yet – including stables, plumbing workshops, unfinished lounge, and one basement room. It is said that in this basement there is one of the ghosts living in the house. 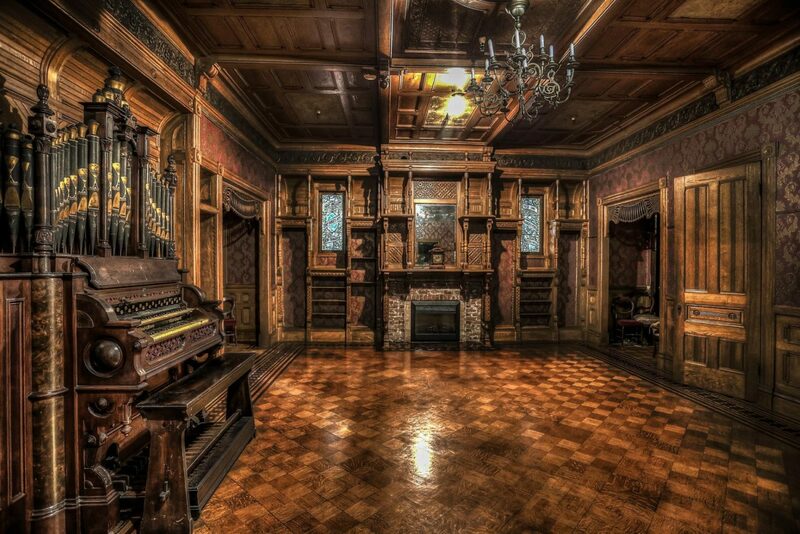 Several afterlife specialists claim that Winchester house is the home of many souls, as well as some visitors, believe that they have heard different sounds and seen inexplicable phenomena. If you are a curious person, who likes to visit unusual and scary places, plan a trip to this mysterious museum, which regularly organizes special Flashlight tours during Halloween and Friday 13th.